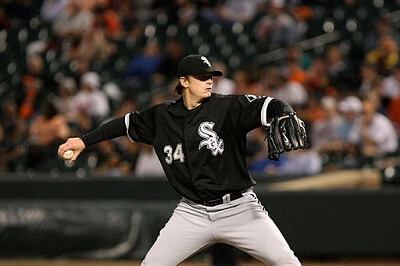 Get notified when Chicago White Sox tickets are available! The Chicago White Sox are a Central Division American League baseball team that was established in 1900. All of the Chicago White Sox home games are played at U.S. Cellular Field, which is also called “The Cell” and “New Comiskey Park” by White Sox fans. The stadium opened in 1991 and was originally called Comiskey Park after the previous home of the team, which was used from 1910 to 1990. On game day, as many as 40,000 odd fans can pack into the stands to cheer on the Sox, and you can be one of them by buying Chicago White Sox tickets online.